Agrifac shunned the Agritechnica show last year, choosing instead to introduce its latest Condor Endurance II alongside a wide range of high-tech controls at the opening of its new factory at Steenwijk, in The Netherlands. 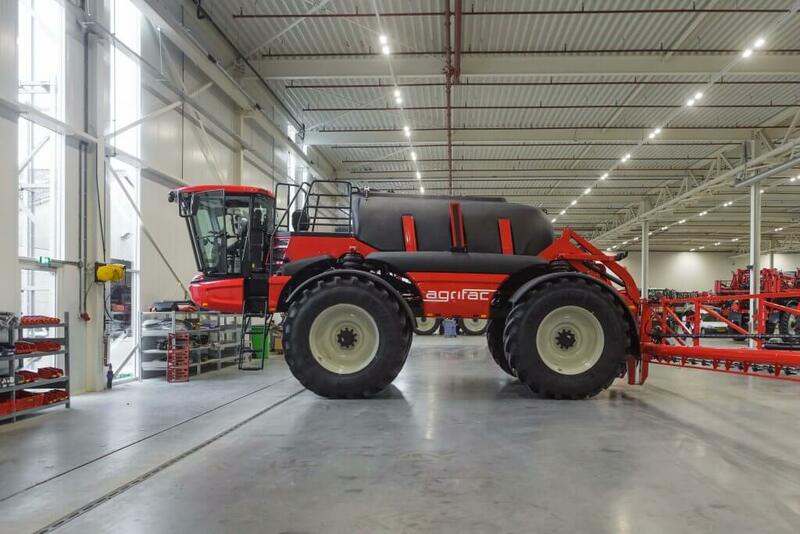 Booms up to 80m wide can be tested in the new 14,000m² factory, which Agrifac has constructed on its existing site at Steenwijk in the Netherlands. 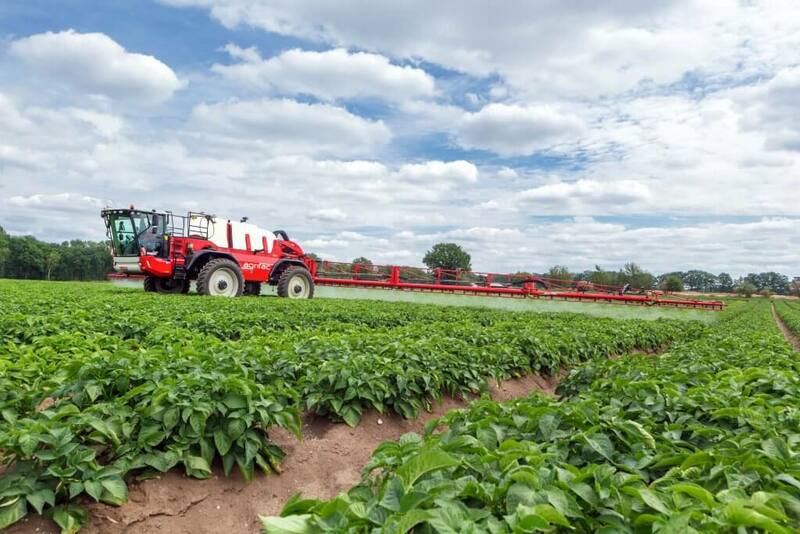 Agrifac has seen quite remarkable growth in recent years, no doubt the result of investment from its owner – the sprayer specialist group, Exel Industries – which bought the struggling manufacturer in 2012. Since then, sales of self-propelled sprayers have rocketed – from 20/year in 2008 to more than 200 today. The new factory is currently building a machine a day and Agrifac is now looking to boost sales further by expanding operations in Australia, North America as well as central and eastern Europe. Sales of Agrifac self-propelled sprayers have risen from 20/year in 2008 to more than 200 today. Its new factory has the capacity to build one machine every day. Indeed the impressive new, architect designed factory is set-up to test booms up to 80m (~262 ft) wide, which is a massive jump from its current 52m (~170 ft) maximum. Unsurprisingly it’s looking at carbon fibre to reach these widths. While not launched officially, Agrifac made no secret of this at the open day, showing a ‘hybrid’ with carbon fibre outer sections fitted to the existing steel one. While there are few details about this prototype, it uses a lattice-work construction, with the nozzles mounted at the top of a triangle. Under the banner of ‘Need Farming’ Agrifac is promoting a range of systems to apply products with ultimate precision. Top of the technology tree is AiCPlus, which identifies individual plants and applies a specifically-tailored product rate – on the move. By the way, Agrifac explains AiC is pronounced ‘I See’, with the AI an abbreviation of Artificial Intelligence. Cameras, mounted along the boom, scan 3m (~10 ft) wide bands of crop in ‘real time’ and, use special software algorithms to interpret what they detect. This could be individual weeds, diseases or pest damage. 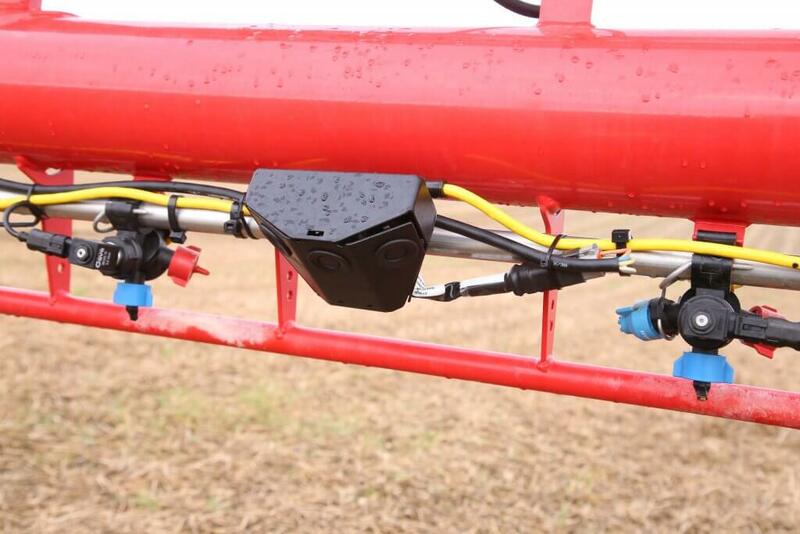 Ultimate spraying precision and control delivered by AiCPlus, which uses boom-mounted sensors to identify areas down to 50cm and deliver targeted treatments with single nozzle accuracy. Applications are targeted using control to single nozzles, which are operated by Pulse Width Modulation (PWM). This enables the nozzles to be turned on/off at up to 100 times/sec, allowing the system to not only vary and apply the dose for the target, but also maintain the correct droplet size for the product. Solenoid valves switch nozzles on/off up to 100 times/sec and maintain the application rate without changing pressure. 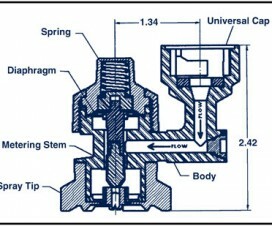 The system also reduces flow to the inner nozzles and increases it to the outside automatically during turns. 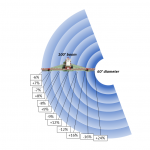 To accomplish this degree of precision application, Agrifac has introduced a range of other new technology. Along with the sensors and single control there is another new system, DynamicDosePlus (here’s a smartphone video), which implements control down to a resolution of a single nozzle. Pesticide rates, rather than just the total application volume, are changed on the move using SmartDosePlus. And to ensure products are applied accurately there is StrictSprayPlus, which includes turn compensation. For precise applications, without using AiCPlus on the move sensing, Agrifac has developed DynamicDosePlus. 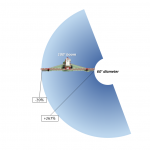 This, it claims, is the first system to create application plans to one nozzle precision. 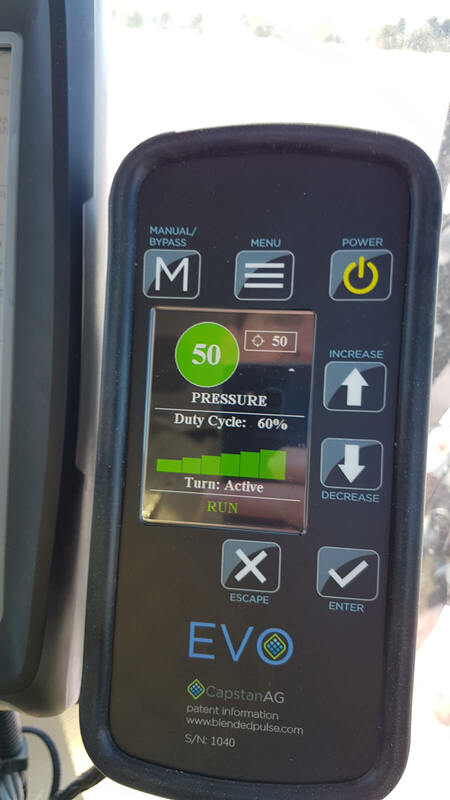 As well as planning applications it also executes the operations, not only controlling applications, turning nozzles on/off, but also varying the pesticide rate between 0-100%. To do this AiCPlus requires high precision prescription maps. Agrifac has developed a completely new high resolution system for creating prescription maps and executing the instructions on machines equipped with single nozzle control. 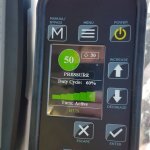 With AiCPlus varying pesticide rates on the move and to one-nozzle precision, Agrifac says it is difficult, or even impossible, to predict the chemical concentration required before application. To overcome this, it has developed its SmartDosePlus direct injection system. Just clean water is held in the spray tank with the concentrated chemical stored separately. 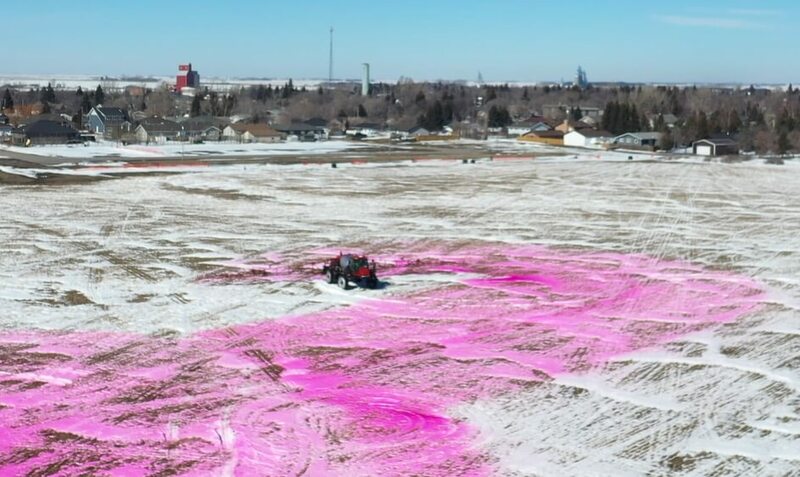 According to required pesticide rates detected by the sensors or stored on the map, the system’s software then meters the precise quantity of active required for the specific area and mixes it ahead of the boom. 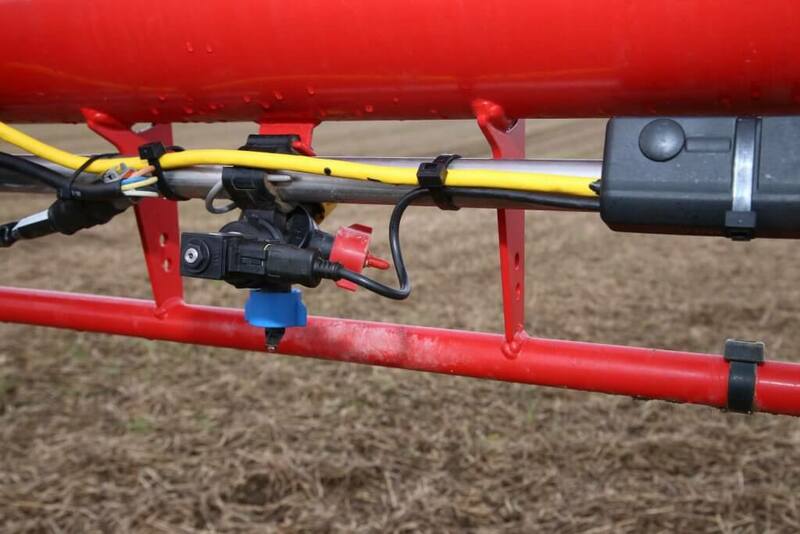 The valve system and full boom circulation and priming ensures each nozzle receives the correct mix. It also doesn’t matter how many nozzles are in operation at the time. It also enables other active ingredients to be added to treat certain areas and turned off when the patch is passed. Similarly, pesticide rates can be reduced dramatically or even stopped completely in environmentally sensitive areas. Another big advantage of carrying just clean water in the tank, adds Agrifac, is it significantly cuts cleaning time and the amount of washings. 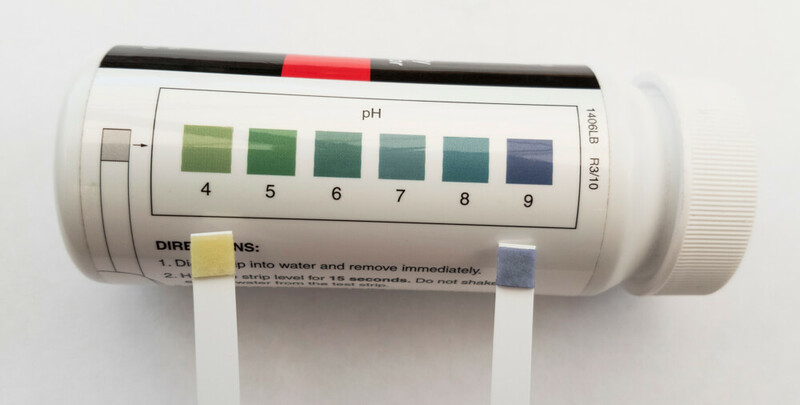 This not only speeds up turnarounds between products, but can also help reduce the risk of cross contamination when working in sensitive crops. As well as single nozzle control, StrictSprayPlus also provides application volume control that is unrelated to pressure, which maintains the droplet size regardless of changes in forward speed or pressure. Automatic controllers normally set the application volume, according to speed by varying the pressure. In most cases as speed rises the droplet size reduces, increasing the risk of drift. As the pressure falls the droplets get larger and this may have adverse effect on efficacy. Pulse Width Modulation overcomes this by using solenoids to turn the flow to the nozzle on/off up to 100 times/sec to maintain the correct application volume. 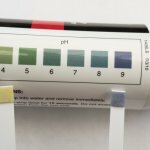 The pressure is unaltered, so the droplet size remains the same. StrictSprayPlus nozzle control also delivers turn compensation – to maintain the correct application volume when spraying around corners. As the sprayer turns the nozzles on tip of the outside boom move considerably faster than those on the inside of the turn. With a fixed application volume, this results in under-dosing on the outside and overdosing on the inside. 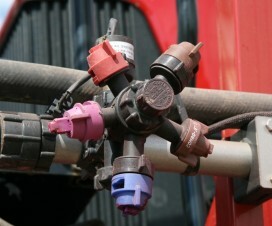 Agrifac says its system detects the speed differences and calculates the rate required for each nozzle across the boom. 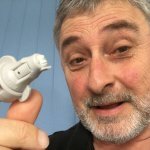 But, experts warn, it’s important to note that PWM currently does not work with many of the popular Air-Inclusion (AI) nozzles in use today. 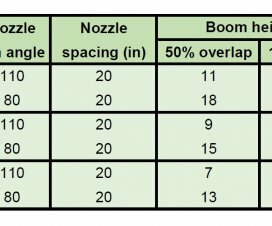 Regardless of the other technology on board, setting and maintaining the best boom height is crucial to maintaining spray efficacy and cutting drift. 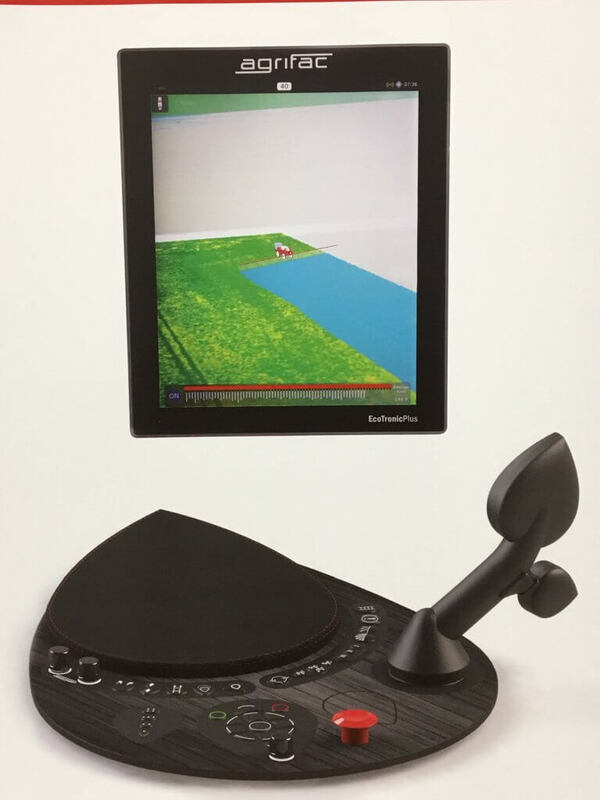 For its new StrictHeightPlus auto-boom height control, which works in conjunction with the BalancePlus and variable geometry on its J Boom, Agrifac has developed new ‘wide view’ sensors. Three sensors are fitted into four separate clusters, mounted across the boom that, it adds, scan a wider area than other systems. 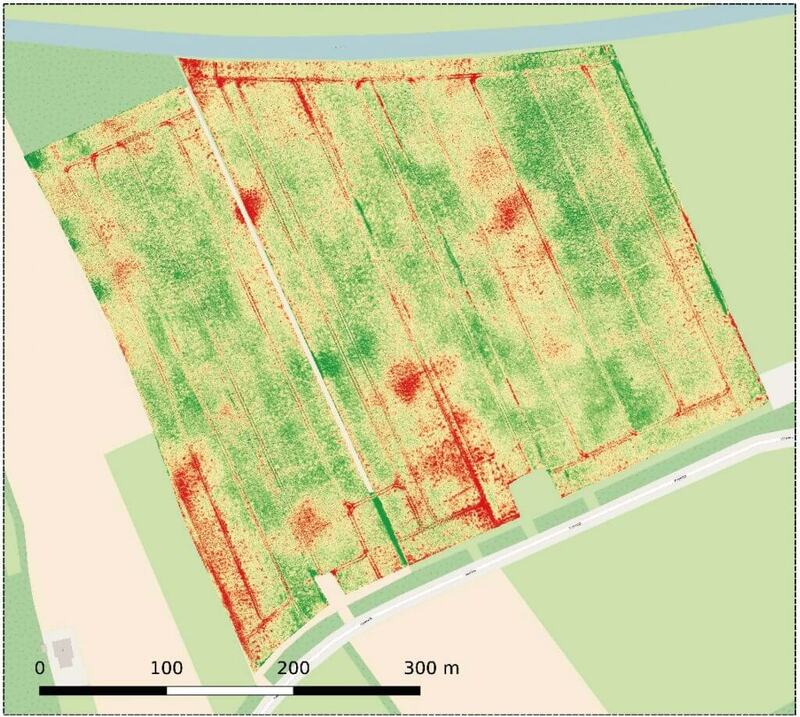 This is said to provide a better overview of the crop as well as help to distinguish between irregularities, misses and tramlines, which can affect performance. 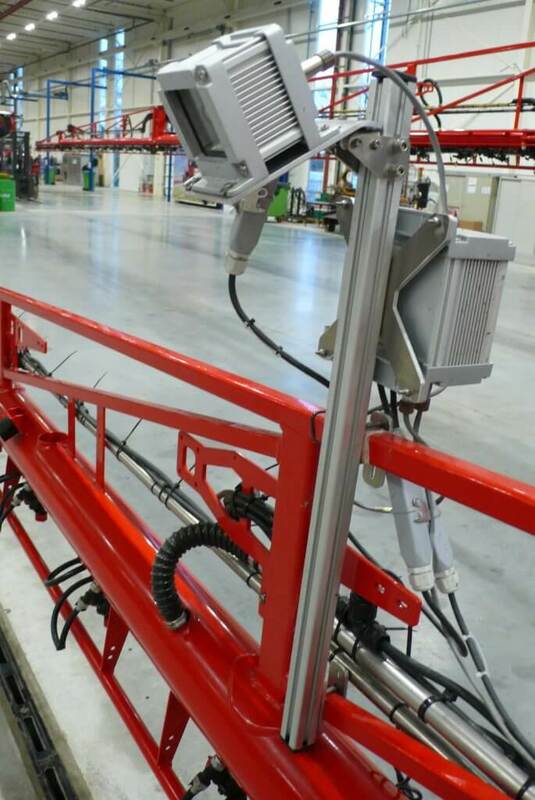 A new auto-boom height control system, developed in house, uses three sensors in a cluster to scan a wider crop area. 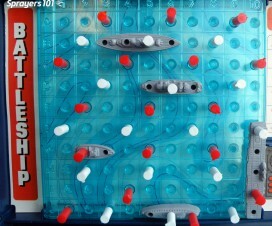 Four clusters are used on the boom. The system is also now fully integrated into the firm’s own EcoTronic terminal, eliminating the need for another box in the cab. The Endurance II is powered by a 420hp engine and is equipped with a new, advanced control panel and joystick. The sleek new EcoTronicPlus II joystick and touch-pad clusters commonly used controls into areas, providing finger-tip control of operations. While the manufacturer sticks with the Claas Vista cab, inside operators will find a sleek new, modern control panel. Called EcoTronicPlus II, it is designed solely for use on a sprayer and incorporates a stylish joystick ahead of the armrest pad, which is surrounded by touch buttons. These are accompanied by a single touch-screen, which is used for both the sprayer and the GPS-controlled equipment, such as section control, mapping and even road navigation. The screen changes automatically to display only information that is required for the current operation. Elsewhere the Endurance II retains familiar equipment such as the existing StabiloPlus chassis, GreenFlowPlus multi-stage centrifugal pump and spray system as well as the 8,000 litre (~2,110 gal.) capacity tank and booms from 24m (~80 ft) to 55m (~180 ft). Be sure to check out Pro Operator Magazine’s Facebook page and stay tuned for their new website! Mick Roberts is the owner/editor of Pro Operator - the official for the National Register of Sprayer Operators (NRoSO) in the UK. A machinery journalist for 30 years, he qualified as a agricultural engineering technician before swapping his tools for a typewriter. Mick’s aim is to provide operators with the latest, technical information to help improve spray application efficiency and efficacy combined with operator and environmental safety.